Moss Park Elementary has an easy, online way for you to help us fulfill the needs of our students and teachers. Most of us shop online – so why not shop and benefit our school? 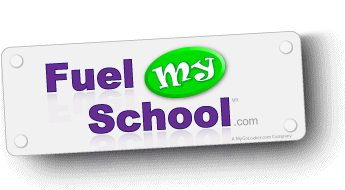 By first clicking onto Moss Park’s “Fuel My School” online shopping mall, and then to your favorite store’s website, a portion of every dollar you spend goes directly to our school! This site has all your favorite stores - with the same great products, services and prices and, best of all, no extra fees. From books to toys to various hotels and airlines, we’ve got it all in our mall! Step 2: Choose a retailer at which to shop - just click on the logo listed in the school mall to be connected directly to the retailer. Make your purchase as usual and the school earns dollars – no special code or any additional steps are needed. Step 3: Return back to our school mall to shop at another retailer. Whatever you are going to purchase online this year, just click to our mall first and then go on to make your purchase and we’ll be able to reap the benefits. Tell your friends and family to shop through our mall, as well! Bookmark this website for easy online shopping every time!